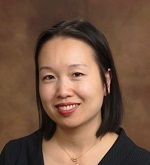 Pao-Lin Tien is Assistant Professor and Director of Undergraduate Studies at the Department of Economics, George Washington University. Professor Tien received her Ph.D. and M.A. in Economics from Washington University in St. Louis, and earned her B.A. in Mathematics-Economics from Wesleyan University. Prof. Tien most recently worked as a research economist at the Bureau of Economic Analysis, and was Assistant Professor at Wesleyan University. Professor Tien’s research interest focuses generally on empirical macroeconomics. She has publications and working papers in the area of international economics, monetary economics, business cycle fluctuations, and forecasting. Ph.D., Economics Washington University in St. Louis, 2008 M.A.